“Researchers at IST Austria have built compact photon directional devices. Their micrometer-scale, nonmagnetic devices route microwave photons and can shield qubits from harmful noise. 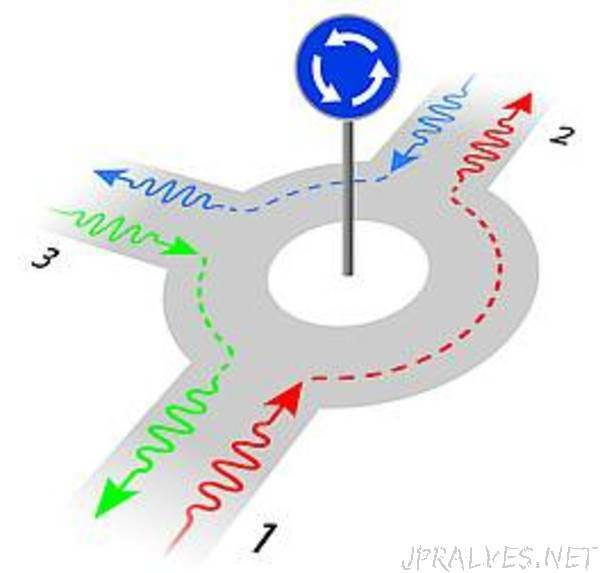 The ‘roundabouts’ the group has designed consist of aluminum circuits on a silicon chip and they are the first to be based on micromechanical oscillators: Two small silicon beams oscillate on the chip like the strings of a guitar and interact with the electrical circuit. These devices are tiny in size—only about a tenth of a millimeter in diameter—, one of the major advantages the new component has over its traditional predecessors, which were a few centimeters wide.